Beware the Seductive Siren Song! In bygone days the Sirens were Naiads, lovely Nymphs of the Sea, who lived on the island of Sirenum Scopuli surrounded by sheer cliffs and sharp-toothed rocks. 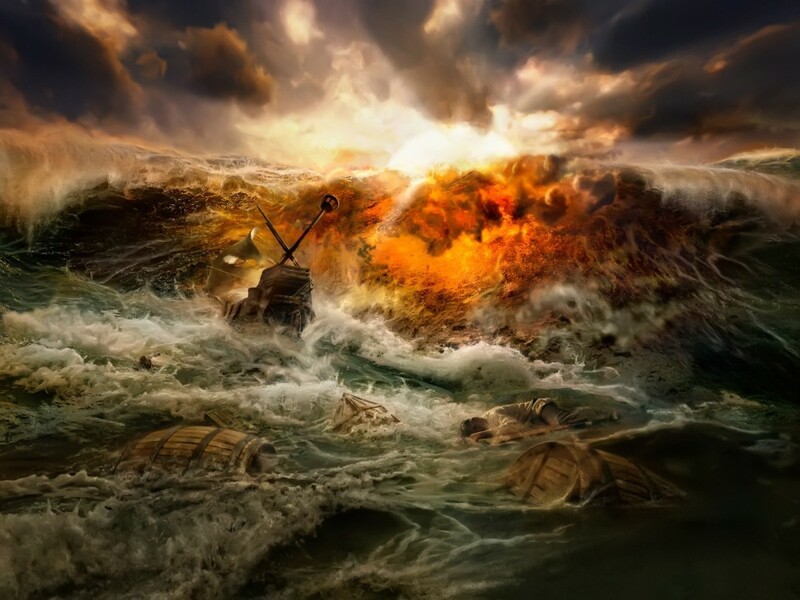 Their glorious singing lured approaching sailors who listened entranced, heedless of the danger. From sea-drenched crags the Sirens would sing their wondrous, beguiling songs, seducing the sailors ever closer till the boats were shattered and the men, senseless, were sucked down forever into the sea. Only two ships ever escaped the Siren Song, this Song of Death. One was the boat steered by the Argonauts off to find the Golden Fleece. The other was captained by the shrewd Ulysses. How did the Naiads become Sirens? 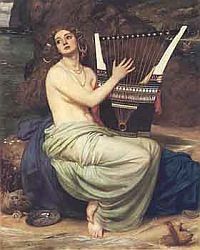 There are many stories about the origins of the Sirens, and the best known are connected with the abduction of Persephone. It is said that they were playmates of Demeter's daughter and had refused to help search for the maiden when she was carried off by Hades. For this they were turned into half-bird creatures. 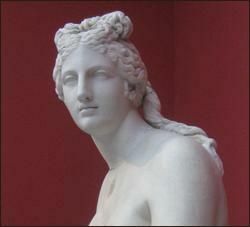 Was it Aphrodite, Zeus or someone else? You may hear, however, that Aphrodite turned them into birds with the faces of women because they avoided the company of men and wished to remain forever unwed. Another version relates that the Naiads were so appalled at the abduction of Persephone that they appealed to the great Zeus, first among the gods to give them wings so that they could fly off in pursuit of Hades the abductor. 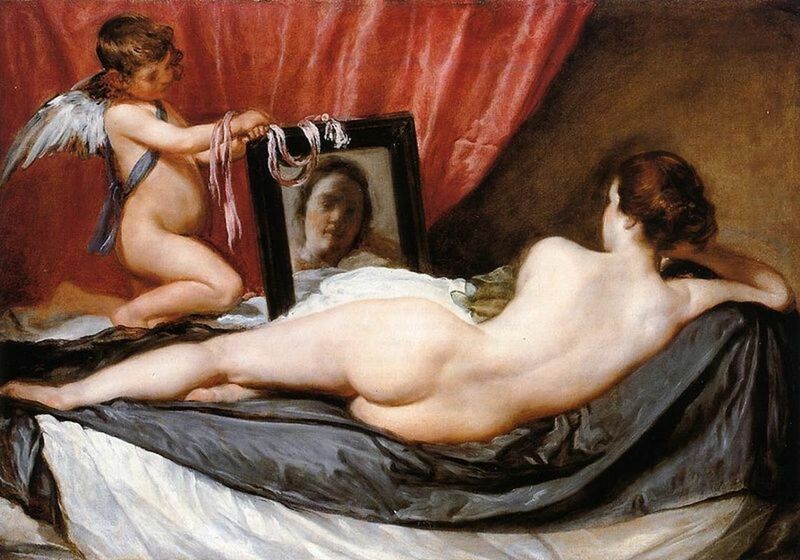 Yet another tale tells how they challenged the Muses to a contest in Arts and, inevitably, lost. The Muses subsequently banished the defeated nymphs who fled, humiliated, for the Aeolian islands off the coast of Sicily. Any of these stories could be correct but it's really of no use to wonder which version it could be, for the punishment of the gods is beyond the understanding of we mere mortals. 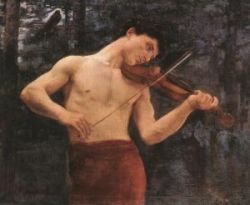 All who heard Orpheus were deeply moved by the power of his music. Orpheus joined the expedition of the Argonauts. The centaur Chiron had warned the Argonaut's leader, Jason, that only with the aid of Orpheus would they be able to navigate past the Sirens unscathed. As the Argonauts sailed by, the Sirens had barely begun to sing when Orpheus the Musician realised the peril they faced. 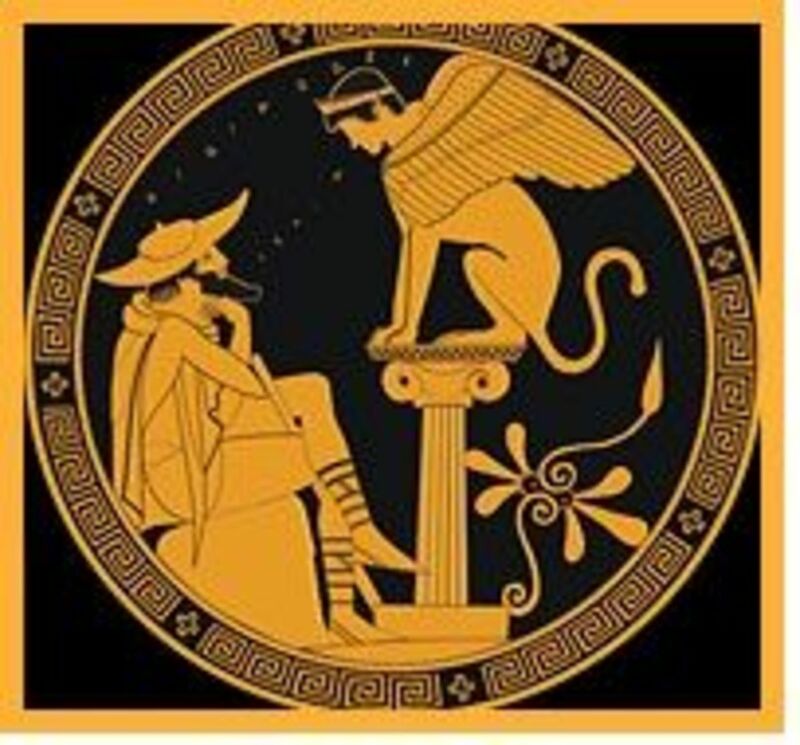 He strummed his lyre, raising his own voice in song - a song so clear and strong and glorious that it drowned the sound of those lovely fatal Siren voices. One of the crew, however, the sharp-eared hero Butes, heard the song and hurled himself into the sea, but he was caught up and carried safely away by the goddess Aphrodite. 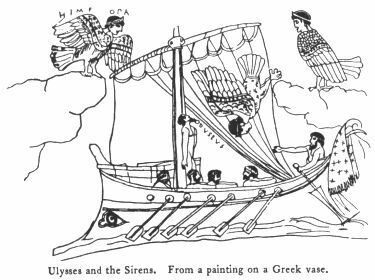 How Ulysses escaped the Sirens - Trust him to find a way! Ulysses, with his customary cunning, listened to the sweet song of the Siren in safety. He blocked the ears of his crew with wax and then directed them to strap him securely to the mast.The enchanted singing was such a powerful lure that, if he had not been securely lashed, Ulysses himself would have leaped overboard to follow the magical voices to a watery grave. Vanquished, the Sirens from that moment lost all powers to do harm and were changed to rocks. One of them, Parthenope, threw herself into the sea in vexation. Her body was tossed on to the shore by the waves, and a tomb was erected for her on the very spot where later rose the city of Naples. 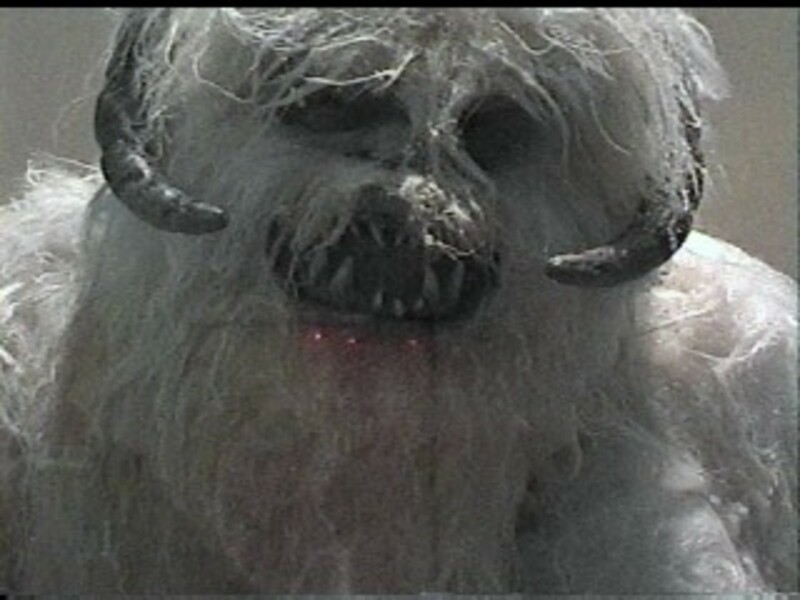 Jim Henson's Creature Shop once again does an excellent job. This time it's bringing Greek Mythology to a modern audience in a wonderful, visually exciting collage. The best-loved Greek myths, including Theseus, Perseus, Orpheus and Daedalus, are cleverly presented by Jim Henson and his crew. Confusion often arises about mermaids, water nymphs and the Sirens. 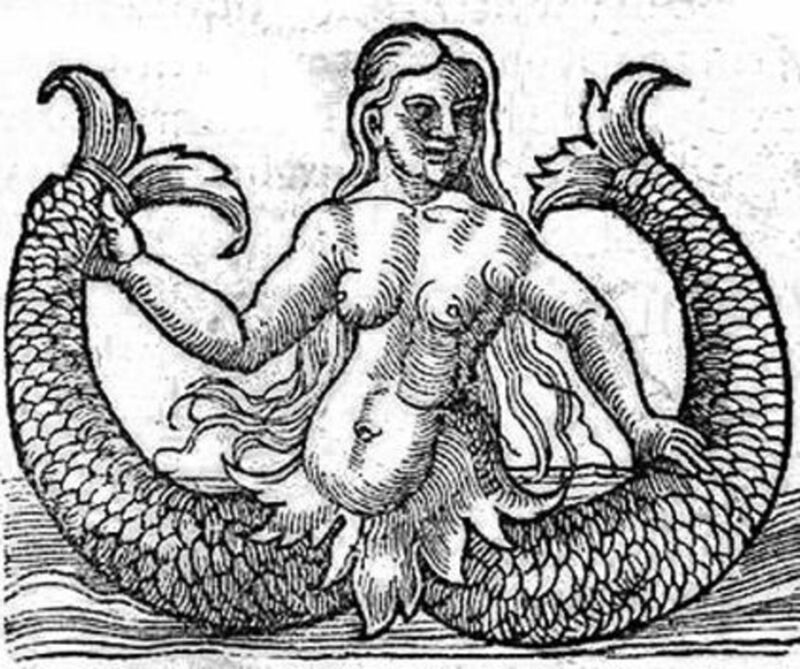 Mermaids are nature spirits, they are elementals and can be classified with fairies. The Sirens are also nature spirits of the waters and in some artworks they are depicted as women whose bodies terminated in fish tails - so they are associated with mermaids and sometimes transformed into them in later legends. But the Sirens were certainly not mermaids! Sirens are always connected with Death. Their name is derived from 'to bind or attach' and they are indeed bound and attached to the dead. They were called on at the moment of death, and their images are frequently found on tombs. Would you fall victim to the Siren Song? All comments (and songs) are greatly appreciated. You don't have to be a siren or even a good singer to leave yours. Just wishing you all the best in 2014. Have a wonderful year. I've been seduced by less charming sorts than the Sirens - you definitely would have to throw in the life preserver for me!